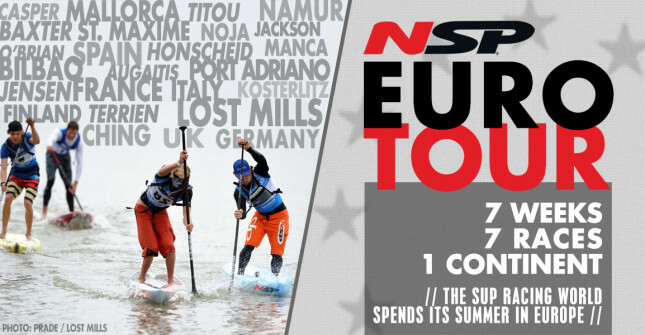 While Eric Terrien was kicking off the NSP Euro Tour with a win on Mallorca this past weekend, his fellow countrymen were battling it out back home in France. The 6th annual Northpoint Classic, a SUP event that combines surfing and racing into one big weekend, was held in the village of Goulien on the country’s west coast and enjoyed some picture-perfect race conditions. 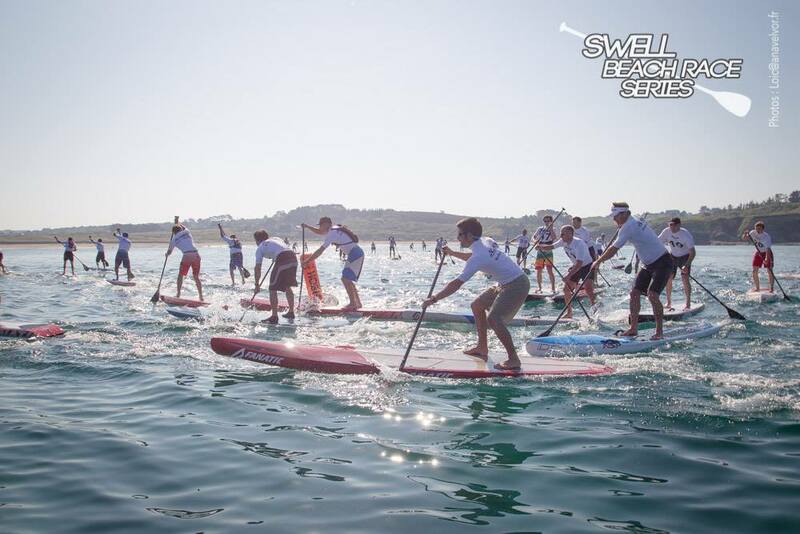 With sunny skies, light winds and small waves, the 50+ paddlers battled it out around the 8km technical course for just under 50 minutes. 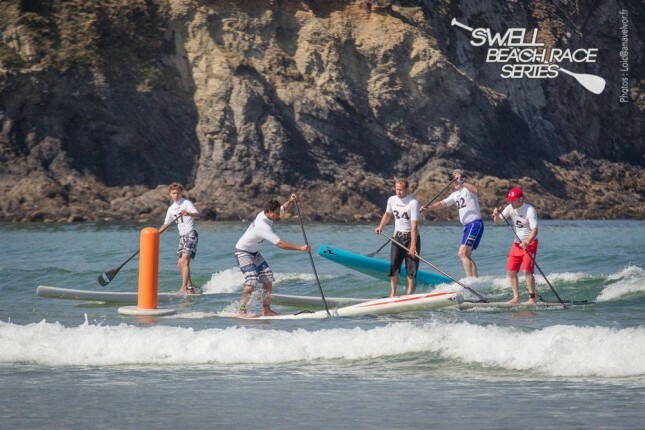 “Fifty SUP racers showed up to battle the technical race that was held at Goulien beach. It was a beautiful day with the sun shining. The waves were small but still enough to make things interesting. 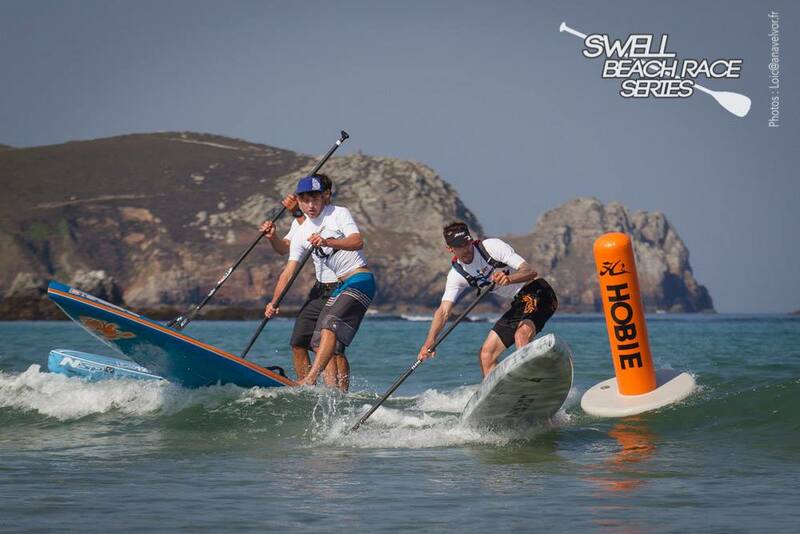 Arthur, Greg and Martin were neck and neck all the way until Arthur caught a small bump right at the end to cross the line first, with Greg right behind and Martin third. 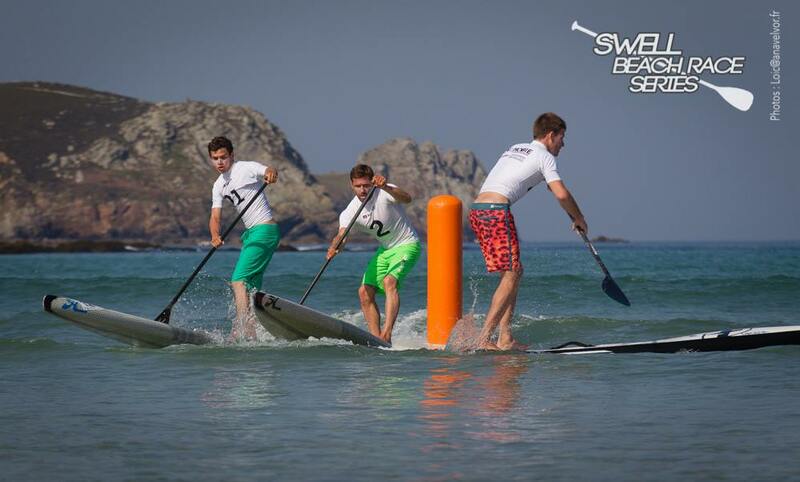 Just behind there was a good battle between Yoann Cornelis, who managed to get 4th, and an impressive Benoit Carpentier (who is better known for paddling his 7’4″ SUP surfboard!). 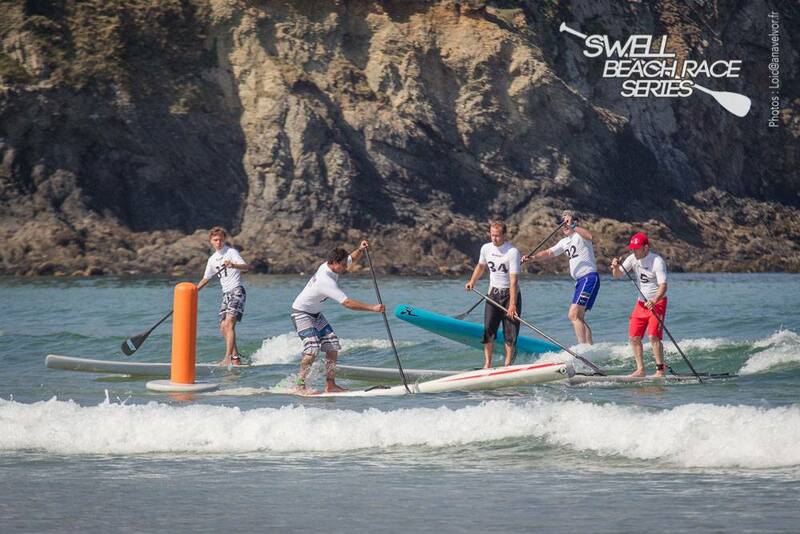 Ben sprinted hard to the beach to overtake Vincent Verhoeven and round out the top 5. The 2014 Northpoint Classic was also the 5th race in the 2014 Swell Beach Race Series, which always gets some good numbers to regional corners of France and always produces some cool pics and vids. 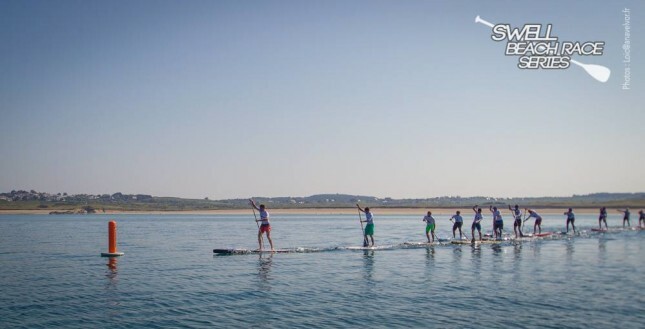 The video from the weekend will drop in the next day or two, but for now here are some cool shots thanks to Loic Olivier (view the full gallery on Facebook). 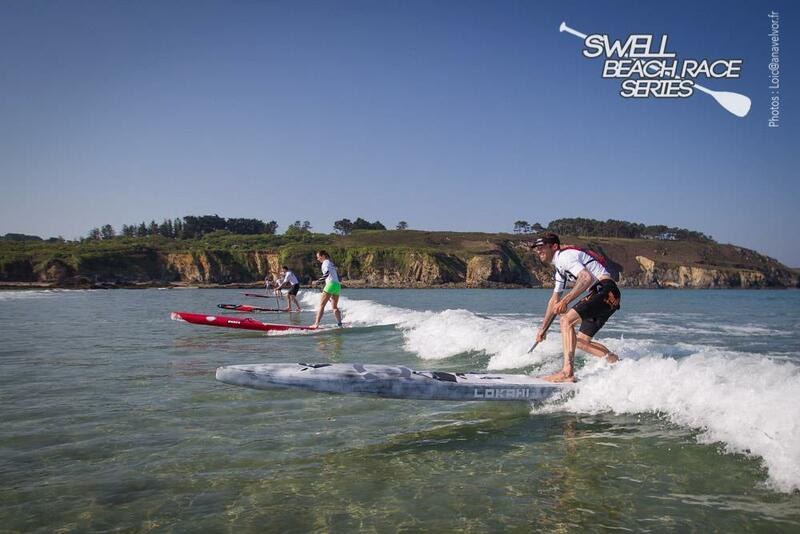 The French SUP Mag has a good recap of the weekend with some great photos of their own. As mentioned above, next week it’s France’s biggest and most famous race, the SUP Race Cup in St. Maxime, which is the headline act during Week #2 of our NSP Euro Tour festivities.